You think you’ve seen all in the world…. Visit biosphere Sian Ka’an, a UNESCO World Heritage, for a couple of hours by Airplane with Fly Cozumel. Fly Cozumel is the first to offer you the biosphere Sian Ka’an by Airplane Tour. It is only a short 25 minutes away from Cozumel. Just like our other Fly Cozumel tours, you’ll go topflight service all the way. 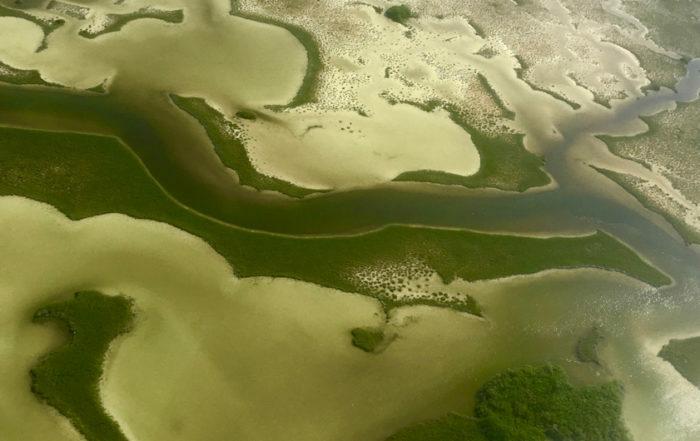 Check out our Sian Ka’an by Airplane pictures and you understand why we are proud and excited to offer you this exclusive trip. Daily departures! Sian Ka’an by Airplane with Fly Cozumel is the most exclusive and impressive Fly Tour you can imagine. Sian Ka’an is a biosphere reserve and a UNESCO World Heritage Site. You will experience mesmerizing views you will not soon forget, guaranteed! If you think you have seen it all in the world, then this is the Fly Tour for you! A complete different perspective of mother nature makes this day trip Sian Ka’an by Airplane Tour, one you will always remember. Even we ourselves at fly Cozumel are impressed every single time we fly over it. You will have the opportunity to take as many pictures and video as you like of all the incredible views during the Sian Ka’an by Airplane Tour. You will gain a huge appreciation for the purity, virginity and beauty of the biosphere reserve Sian Ka’an from inside our Cessna airplane. Take a memorable look at the amazing turquoise blue of the Caribbean Sea, the blue and green of the lagoons, the rivers and the vegetation by Airplane. Sian Ka’an is an untouched heaven dividing the sea and the lagoons. Sian Ka’an by Airplane is such a beautiful piece of living art. During your Fly tour, you’ll also get to see an amazing perspective of the Lighthouse Vigia Chico, Boca Paila and Punta Allen as well, accompanied by your MAA (Mexican Aviation Association) certified pilot. Sian Ka’an by Airplane with Fly Cozumel will be an impressive, unforgettable experience. We invite you to experience this Scenic Air Tour of one of the most beautiful unspoiled areas in the world, biosphere reserve Sian Ka’an ,by the most reputable air tour company on the island, Fly Cozumel. What is included in an Sian Ka’an by Airplane Tour with Fly Cozumel? A Fly Cozumel representative will welcome at the Cozumel International Airport, where you will meet your pilot and discuss your personal flight plan taking into account any special request or desire you may have. Based on current weather conditions, the pilot will create a custom tour experience so you and your party will have the opportunity to see the most impressive spots and scenic vistas that Sian Ka’an has to offer including: Vigia Chico, Boca Paila, Punta Allen, incredible nature and so much more. If you’re an avid photographer, our pilot will fly over a specific area until you’ve captured the perfect photograph. Your 90 minute flight will provide unforgettable views of some of the most captivating and spectacular scenery of Cozumel and Sian Ka’an. Your private flight will give you, your family and your friends a front row seat to all these fabulous treasures of the World. The flight to Sian Ka’an from Cozumel is only about 25 minutes, though you will end up in a different planet; we will fly partly over Cozumel and over Tulum as well. We will spend 40 minutes flying above Sian Ka’an. The area is so impressive that it is hard to digest all beauty you are going to see. When you experience an Sian Ka’an by Airplane Tour with Fly Cozumel, you are guaranteed to have impressions and memories that will never fade away. Sian Ka’an is beautiful to explore by land and water, however, Fly Cozumel guarantees that Sian Ka’an seen from the air will exceed your highest expectations.